QuakeTEC is an 1U CubeSat developed by the University of Auckland's APSS (Auckland Programme for Space Systems) to test, if ionospheric disturbances can be used to predict earth quakes. 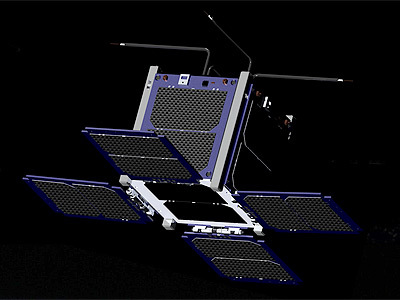 The QuakeTEC satellite carries a Langmuir probe and will measure the electron density in the ionosphere to determine the feasibility of detecting earthquakes in advance. The students will be using their satellites to investigate a debated theory, that seismic activity in the earth’s crust creates signatures in the ionosphere, a region of the atmosphere between 60 to a thousand kilometers above the earth’s surface. The satellite will be launced in late 2018 by an Electron KS rocket. QuakeTEC (APSS 1) - 2019 OnS LC-1 Electron KS with ?